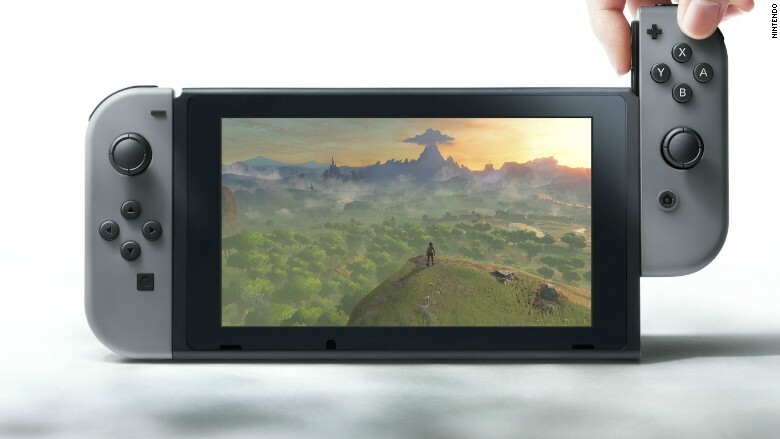 Nintendo has revealed a unique new gaming console called Switch -- one part mobile, one part home console. Nintendo (NTDOF) posted a three-minute trailer of its hybrid system on Thursday. In the trailer, gamers insert a slim tablet into a handheld device that has controllers on each side. It looks like a modern-day Sega Game Gear. 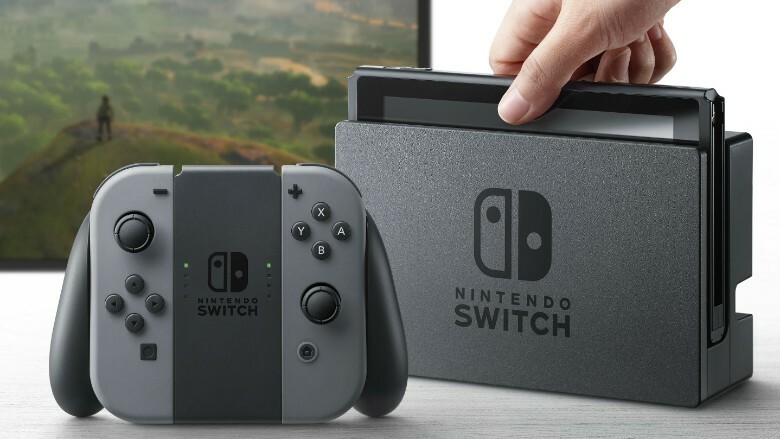 Users can then pop the tablet out of the Switch Console and plug it into a "Switch Dock" base station for the TV. It will automatically transition to portable mode when it's lifted from the dock. The goal: make it easy to "switch" from playing the game while sitting on the couch to on the go. The console, which is expected to be released in March 2017, requires a game cartridge and comes with a kickstand. It's unclear if games will be available via digital download. Price has not yet been announced. The company first teased the system -- with the codename "NX" -- in a quarterly financial report in April. But this is the first time gamers have seen how the console looks and works. The news comes as console competitors Sony (SNE) and Microsoft (MSFT) have new systems on the way. Sony's PlayStation 4 Pro, an upgrade of its current console, is due out in November. Microsoft is developing its Project Scorpio device, expected to come out in late 2017. The reveal marks an important moment for Nintendo, which is looking to drum up consumer excitement following lackluster sales around its Wii U system. The Wii U, launched in 2012, sold 13 million units -- a far cry from the 100 million consoles sold by its predecessor Wii. Nintendo (NTDOF) also posted a $237 million loss in its most recent quarterly financial report. However, the company's share price more than doubled in July following the success of popular augmented reality game Pokemon Go. Nintendo got another boost last month when it announced that a Super Mario game would hit the iOS App Store sometime this year. -- CNN's Jethro Mullen and Yoko Wakatuski contributed to this report.